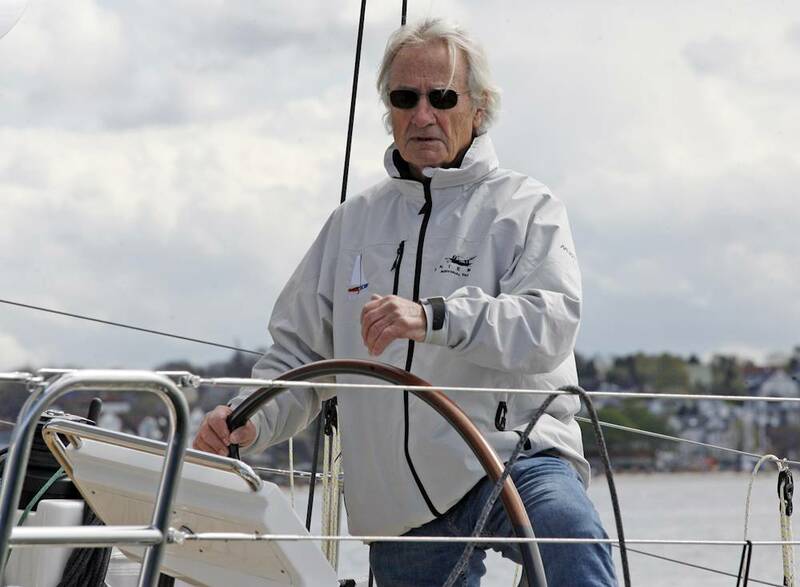 Never before has someone at the impressive age of 80 sailed around the world non-stop. New Zealand-born Dr Stanley Paris wants to be the first. 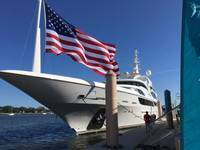 What's more, the American now residing in St. Augustine, Florida is planning on breaking the course record from Bermuda to Bermuda. 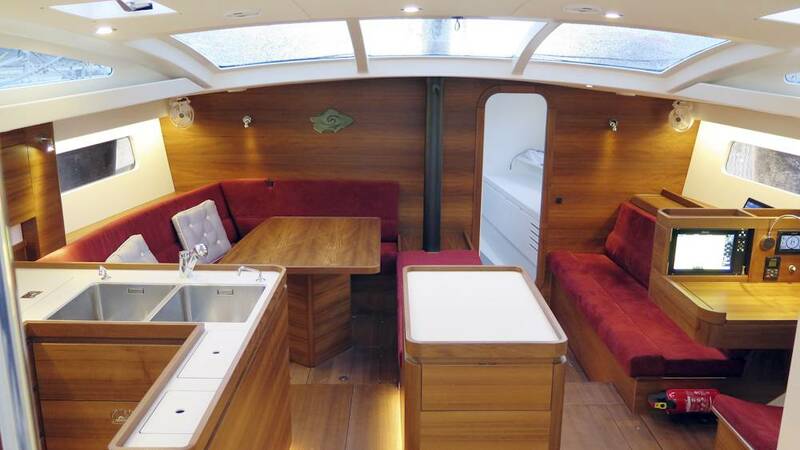 The extreme sportsman had an offshore yacht ideally suited to the task built at the Kiel-based Knierim shipyard in Germany, a member of the DEUTSCHE YACHTEN – Superyachts Germany working group. 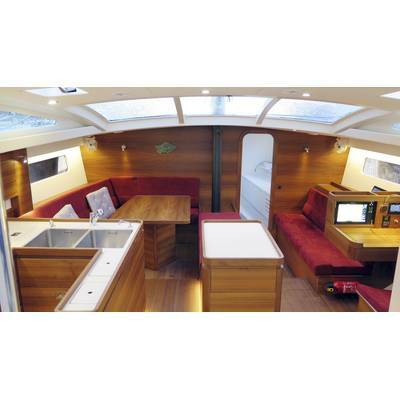 The Finot-Conq FC3 53 is 17.33 metres long, 5.26 metres wide and is very racy. 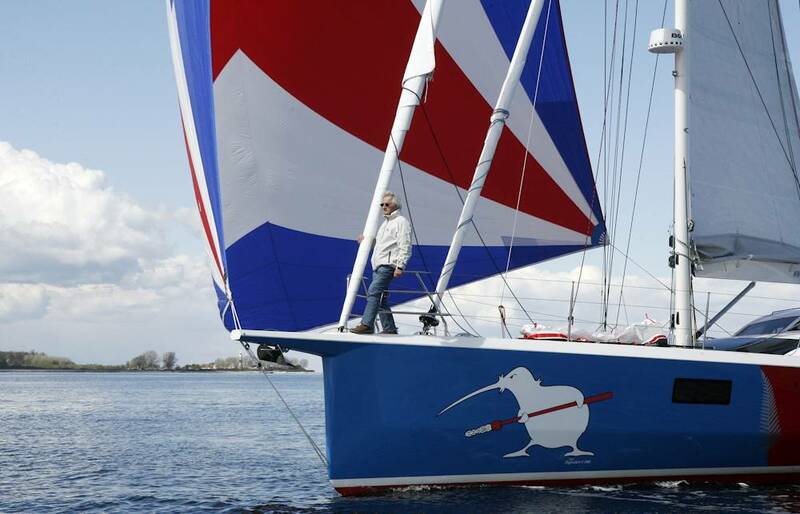 Meanwhile this extraordinary boat is ready to start the 635 nautical miles double-handed Bermuda One-Two Yacht Race to Newport, Rhode Island today (15 June). He will use it together with his son Alan as a test regatta. As the owner and skipper who is still 79 years young casts off, his face radiates joyful anticipation and a steadfast conviction that he is doing exactly the right thing. 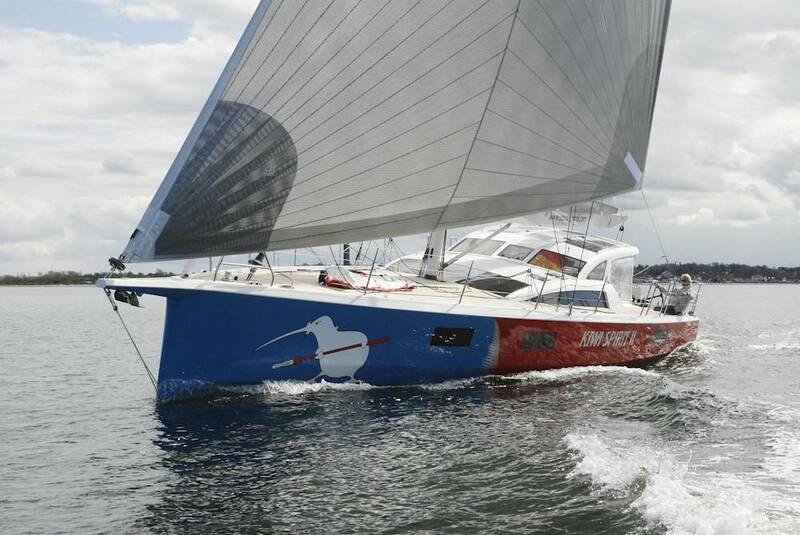 "This offshore yacht now finally seems ideal for me to sail around the globe on my own in under 150 days," said Stanley Paris, whose adventure CV spans from an Ironman triathlon to cycling 3000 miles in 30 days – a feat he achieved just last year. 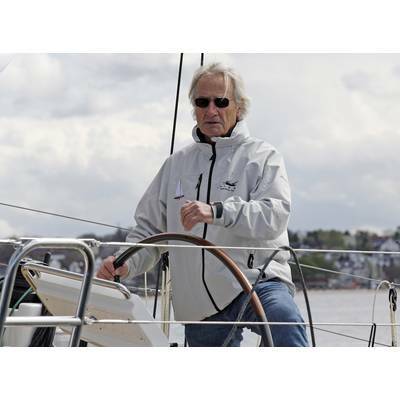 Yet when it comes to sailing, the seemingly eternally young man still has unfinished business. 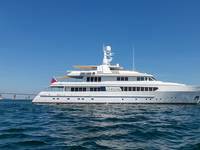 Twice he failed in 2013 and 2014 with a 60-foot boat built in the USA due to severe equipment failure just before South Africa. He now has full confidence in his Finot-Conq 53. 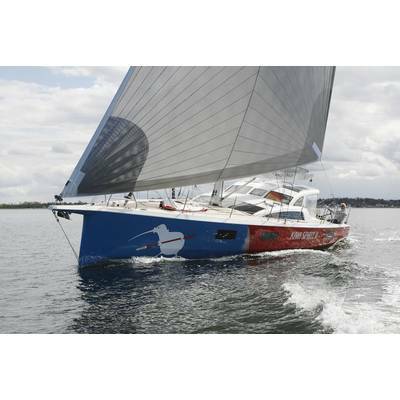 It is highly reminiscent of an IMOCA class Open 60, which is used for the Vendée Globe – the world's toughest single-handed race. 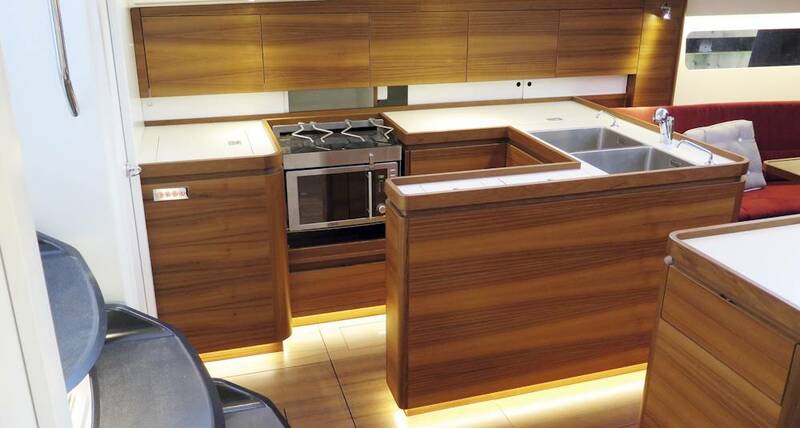 Designer Pascal Conq also feels at home with this competition and three years ago he met the demand for a fast cruising yacht with the lines of a racer. The mould-plug was built in-house by Knierim with millimetre precision using a five-axis milling machine from the tooling division. In the meantime, work on the third 53-footer produced from the mould has been underway. 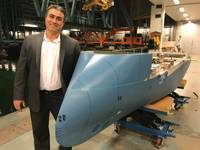 The hull was designed using carbon fibre prepreg on a Corecell foam core. The deck and internal structures were even given a Nomex honeycomb core for maximum stiffness and minimum weight. The 17-metre boat weighs in at just 10 tonnes on the scales. 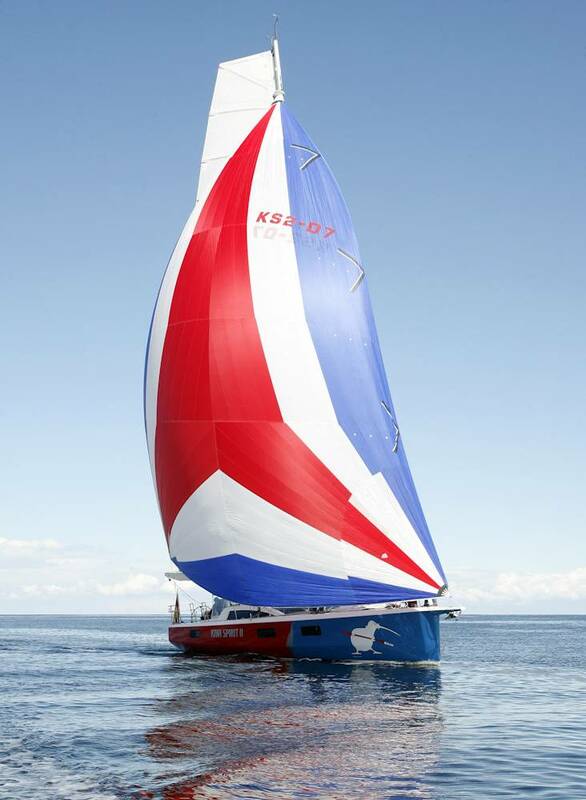 "At this level, high-tech is used even for highly ambitious racing yachts," explained Knierim co-director Steffen Müller, who regards the order placed by the internationally experienced owner as an endorsement of the Kiel-based boatbuilder's uncompromising standards. Müller said: "If a New Zealander from the USA reads in a British magazine that he should build in Germany that is a real accolade for us." Build number two is specially tailored to the needs of the round-the-world sailor in a few key aspects and stands for individuality at Knierim as a semi-custom model. The cockpit roof with solar panels on top was extended at the rear to provide extra protection against freezing water spray. There is no diesel generator. 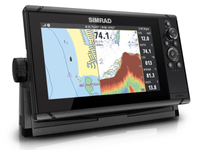 Instead, four small propellers on the transom produce electricity when under way, depending on the angle of heel. In addition, the owner had an escape hatch fitted there. Should he suffer a keel failure in the event of a serious collision with a floating object resulting in a capsize, Stanley Paris will be able to stay inside an additional compartment in the rear section of the boat. 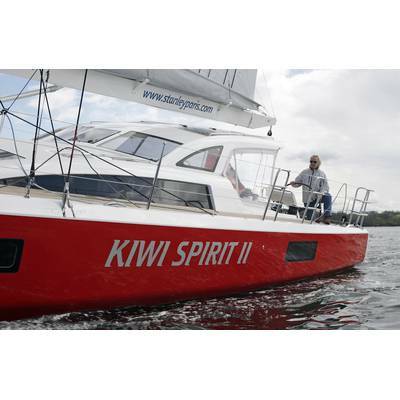 However, anyone looking for other age-appropriate equipment and details for seniors on board the "Kiwi Spirit II" will quickly realise that the skipper made no specific requests in that area. 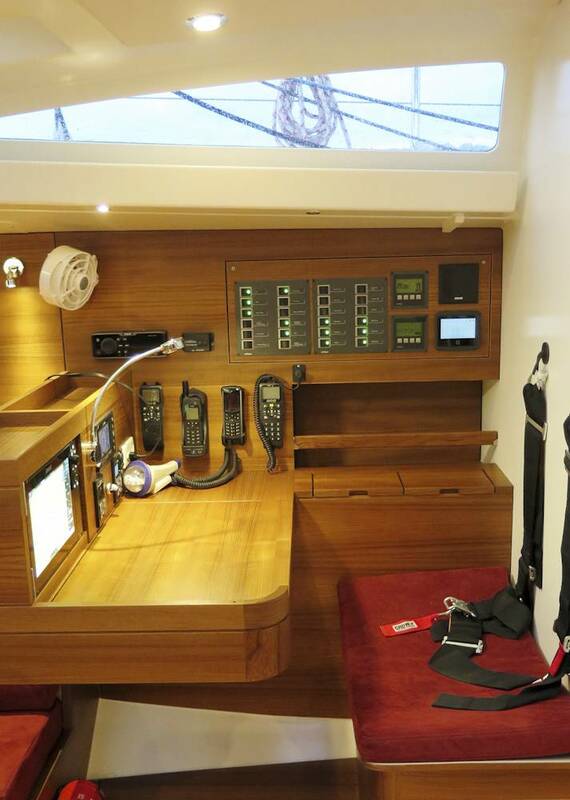 The rerouting of all halyards locks, control lines and sheets on an electric central winch on the right of the cockpit is practical and standard for all single-handed yachts. One special feature is the dagger-like pivoting keel, the draught of which spans in the longitudinal direction from the port-standard 1.60 metres to the racy 3.75 metres from a fulcrum. The 23.30-metre tall rig (above water level) stands quite far back on the deck. With a furling staysail and the mainsail on the long boom controlled by the traveller situated on the transom, the FC 53's sail spans some 170 sqm upwind. 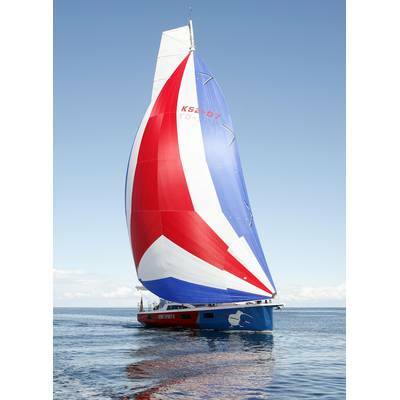 "I can still make way with a full sail even when facing strong winds, without constantly having to worry about reefing and unreefing," says the physiotherapist, who keeps himself fit with strength and stretching exercises for 15 minutes, twice a day. 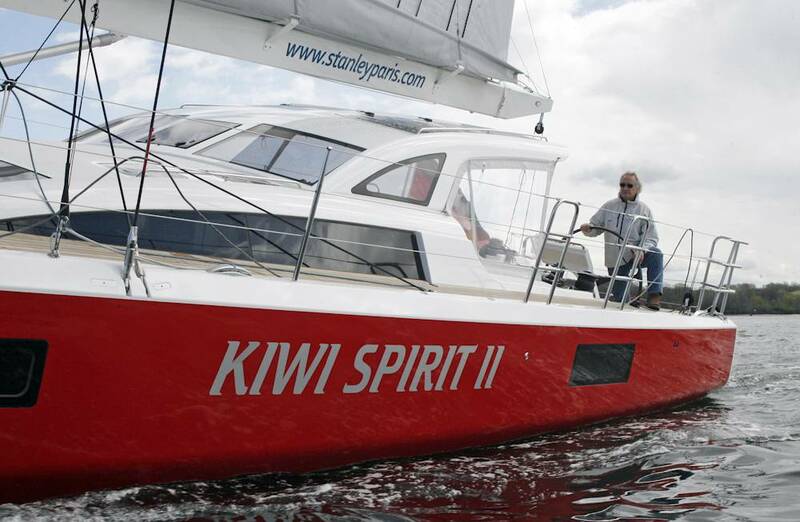 On the way to Brest, the "Kiwi Spirit II" sailed over long stretches with an average speed of over 12 knots, sometimes peaking at 20 knots (around 35 km/h). 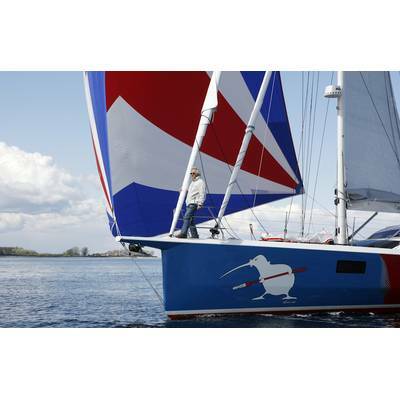 As soon as the wind eased, the Code Zero was rolled out as a large, overlapping headsail or the gennaker was released from the sock – all sailing manoeuvres that the older gentleman was able to handle with ease on his own. 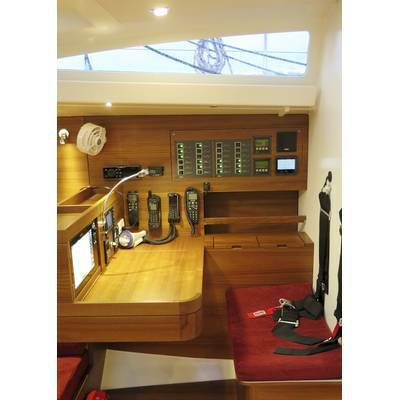 Below deck, the solo sailor has it comparatively easy. 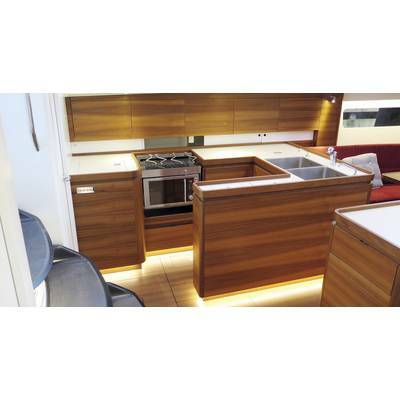 An induction cooker, two fridges, a shower and a toilet, as well as a functional, stylish saloon with a navigation area meet high levels of sophistication, even by luxury-sailing standards. Yet the real satisfaction will ultimately have to wait until the 80-year old Stanley Paris completes his journey around the world, and sails into the history books. Then perhaps he can finally live a little more peacefully.